We love the smell of fresh flowers at Square, and with Valentine’s Day just around the corner, we thought we’d crunch the numbers on last year’s sales to give you some insight into what your fellow Aussies’ are favouring ahead of this year’s big day. In 2017, on the 13th and 14th of February alone, we saw Aussies spend 250 per cent more on flowers compared to any average day during the rest of February. 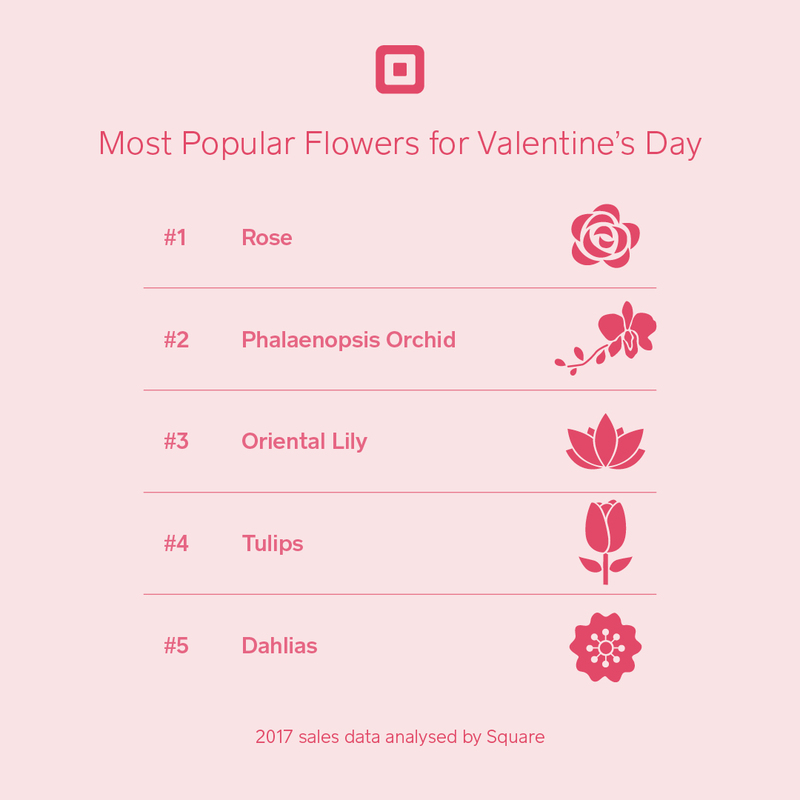 Square collected and analysed the data from thousands of florists across the nation, and if you’re thinking of picking up some fresh blooms for your loved ones this year, there are some definite insider tips you should know. 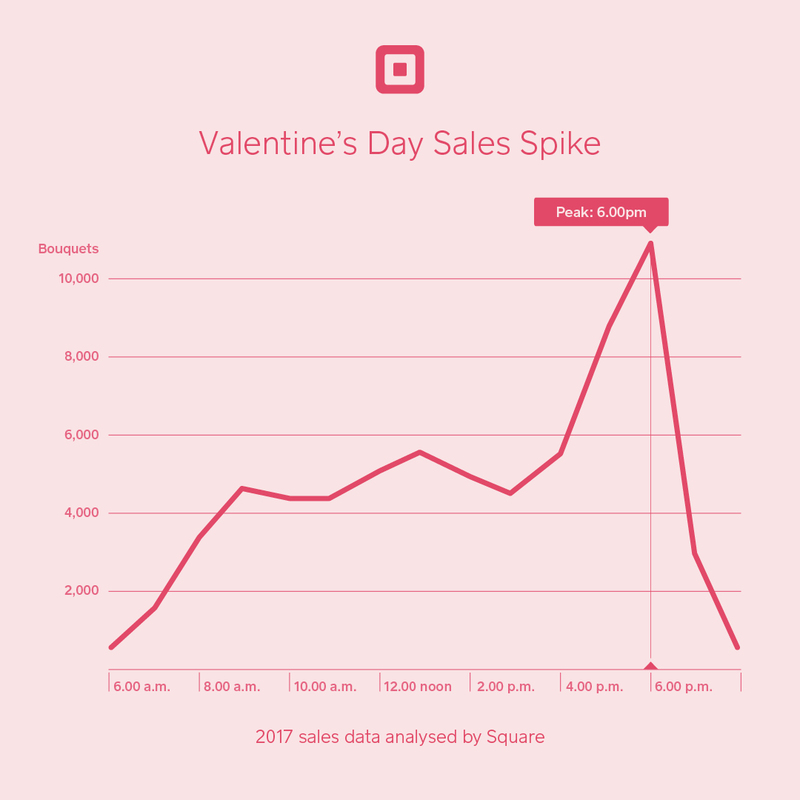 Get in early, especially if you’re after roses — Square data from 2017 showed that roses were, by far, the most popular choice for Valentine’s Day with the trading peak increasing significantly throughout the day with twice as many people purchasing flowers in the after work peak at 6 p.m. than earlier in the day. 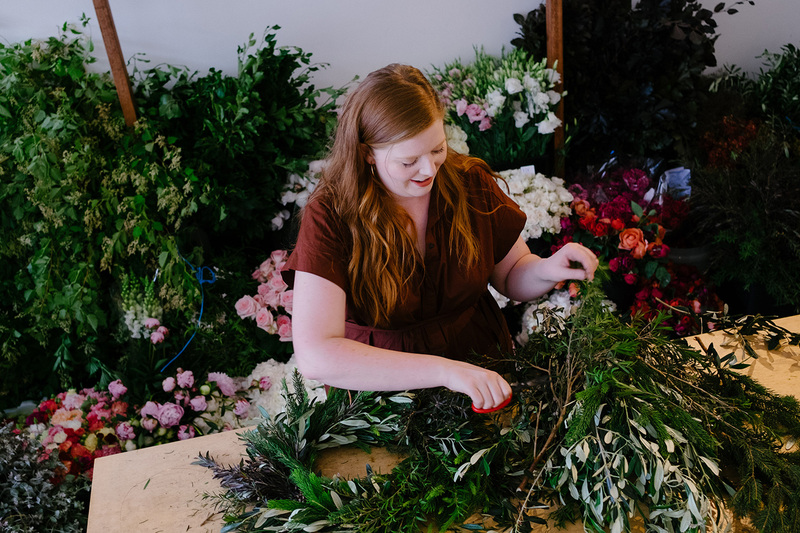 To find out more, we caught up with Vivien Hollingsworth, owner of Flōs Botanical on Melbourne’s trendy Johnston Street, to dive deep into the floral industry’s busiest day of the year. Is Valentine’s Day your busiest trading day? What are you most focussed on in the lead up? Valentine’s Day and Mother’s Day are both huge trading days for us. But when you know you’re going to have to cater for 10 times more than your usual trade on just one day, you can preplan a lot to help things run more smoothly. I’ve had my extra staff members locked in for months. We’ve been pushing preorders and advertising special Valentine’s bouquets on our website for the past few weeks, as well as prebooking our couriers for when we’ll be busiest. I’ve even got a couple of extra Square readers on hand to help us queue bust during the peak purchasing times. So tell us, are roses still the red hot favourite when it comes to Valentine’s Day flowers? Well, the red rose is definitely the iconic Valentine’s Day flower. Although, what I’m finding is that more and more people are happy with mixed floral arrangements and something a bit different. Customers will usually ask for colour palettes, and stick to the traditional pink or red, so I will include some roses but also populate the bouquet with lots of natural native blooms. The natives have definitely risen in popularity over recent years, not only do they have a lower price point but they last a bit longer as well. Orchids, succulents and plants are also becoming a very popular option for Valentine’s Day, especially as more people see the day but as an opportunity to celebrate friendships, not just partners, with a nice gift. Again, people love that for a similar price they can get something that is going to live longer and is a more holistic present that often comes with a nice pot. What does your Valentine’s Day typically look like? Well, this year Valentine’s Day is on a Wednesday, so it really starts on Tuesday for all the florists, as that’s when we have to go to market. The market opens at about 3 a.m., so I’ll be up at 2 a.m. to make sure I get there early and can get as much as I need while it’s fresh. Then all day Tuesday I’ll be making up preordered bouquets — with my extra staff in tow — and locking in delivery times. We won’t stop wrapping until the store is full and all of our preorders are done, so it’s a long day. On Valentine’s Day morning it’s another early start to wrap all the bouquets we’ve made up and get them out the door as quickly as possible. Is there a peak hour purchase time on Valentine’s Day? When Valentine’s Day falls on a weekday, our delivery orders are almost double than what they would be when it falls on a weekend. We get a lot of phone and online orders from people at work during the morning, but the peak times in-store are definitely the early pickups from people on their way to work, the lunchtime drop-ins and then the mad dash after work (which is by far the busiest) before people meet up to celebrate. What can people expect to pay? I think the average spend is probably about $50. Some people spend a lot more, with higher-end bouquets pushing over $100, but you can also pick up some smaller blooms starting around $10. Anything that has to be imported, like some roses, is also going to cost a bit more. Flowers that have just come into season, like tulips, are also dearer, so you won’t see as many of them around this year. What’s your top advice for people looking to purchase some great blooms this year? Preorder, preorder, preorder! Preorder a couple of days in advance if you can, especially if you want a delivery. Couriers can’t guarantee same-day delivery for late purchases on Valentine’s Day — it’s just too manic. And if you forget to preorder, make sure you get to the florist as early as you can. A lot of bouquets will be shipped out before noon, so if you leave it to the last minute you’ll only have the leftovers to choose from — if any.